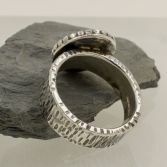 I have only made one of these so once its gone its gone. 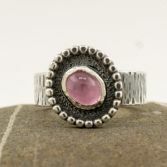 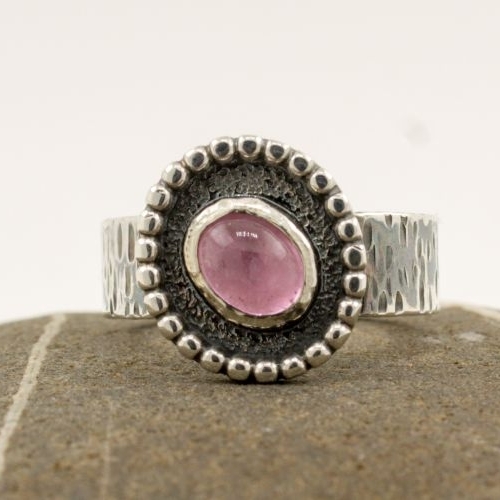 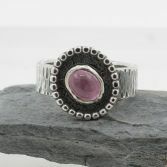 The setting has a stunning Pink Tourmaline Oval Cabachon which is surrounded by a pretty handcrafted sterling silver setting. 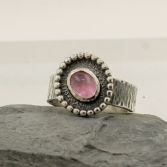 I have oxidised the silver to give contrast against this pretty gemstone which really shows off the beautiful rich Pink colour. 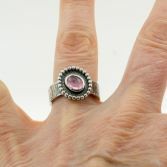 The ring size is a UK size N, the band meaures 6mm and the setting is 15mm across at its widest piont, the gemstone Tourmaline is 8mm by 6mm. 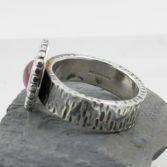 All my sterling silver is sourced from a reputable UK bullion dealer and it has UK Hallmarks stamp at UK Assay Office so you can be sure of the quality of this ring. 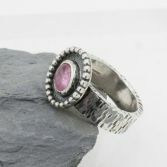 Your Pink Tourmaline ring will be presented in one of my signature gift boxes and posted via Royal Mail 1st class signed for delivery free to any UK address.